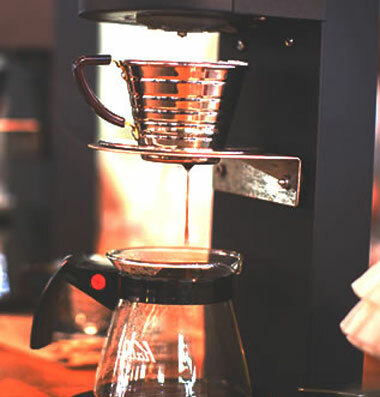 Brewing Workshop for real people - Marco Beverage Systems Ltd.
Now that you’re all back from the Christmas splurge, have mucked up your home brews over the break and want to know why it all went so terribly wrong, we have just the thing to kick your 2013 in the right direction. So much learning, in this age of mis-information, comes from unqualified, unclear and sometimes, dodgy sources. As part of SCAE Ireland’s education calendar, we are happy to host another certified, qualified and ,erm, not dodgy workshop on the Art and Science of Brewing in Marco HQ on January 23rd next. Including hands on brewing and tastings, certified by the SCAE Education Committee with a content that covers such great topics as grind particle distribution, water quality and all the essential elements of correct brewing, it’s an informative and enjoyable day of learning. Attendees can also take an exam to be certified as a Brewmaster Level 1, earning 10 credits as part of the SCAE Coffee Diploma Sytem. The workshop will be delivered by Paul Stack, certified Level Two Brewmaster, Authorised SCAE Trainer and lead author on the curriculum. Date and Time: Wednesday 23rd January, 9:30 am to 4:30, lunch included. Venue: Marco Beverage Systems, 74 Heather Road, Sandyford Business Park, Dublin 18. Thanks all and Happy New Year.